Looking for a gift to send to loved ones, friends or business associates living in Ireland, then look no further! This collection of luxury hampers and gift baskets have been specially chosen for Irish recipients, for its wide range of food and drink contents that can be delivered to family, friends and companies throughout Ireland. Most Irish hampers have free or low cost express delivery, so order your gift hampers today and choose a date for fast delivery in Ireland. With free delivery on selected Irish gift hampers, you're sure to find the perfect gift for relatives and business customers in Ireland. 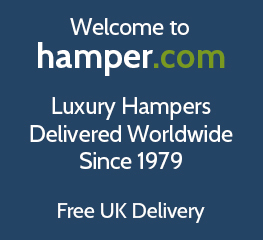 hamper.com also have large selections of hampers for special occasions which are available for delivery, stocked with wine, chocolates, food and more. You can order any of the hampers or gift baskets from the hamper delivery to Ireland range above, with most sent from the UK and some dispatched in mainland Ireland. We will arrange delivery to any address in Ireland on your preferred delivery date. So don’t delay and place your order today for fast, efficient delivery to family and Friends in Ireland! Send a luxury Birthday hamper as a surprise to family in Ireland, or treat them at Christmas with a gourmet Christmas hamper fit for a family. Browse our range of hampers and choose an extra special gift, whatever the occasion!